Serology (lab) report showing immunity to measles, mumps and rubella. The lab report must be an actual copy showing your immunity to MMR’s. c) Have a blood test to confirm immunity. Please note: a copy of the lab report must accompany your campus immunization form for acceptance. Read, or have had explained to me, the information regarding meningococcal disease. I (my child) will obtain immunization against meningococcal disease within 30 days from my private health care provider or my local health care facility. Read, or have had explained to me, the information regarding meningococcal disease. I understand the risks of not receiving the vaccine. 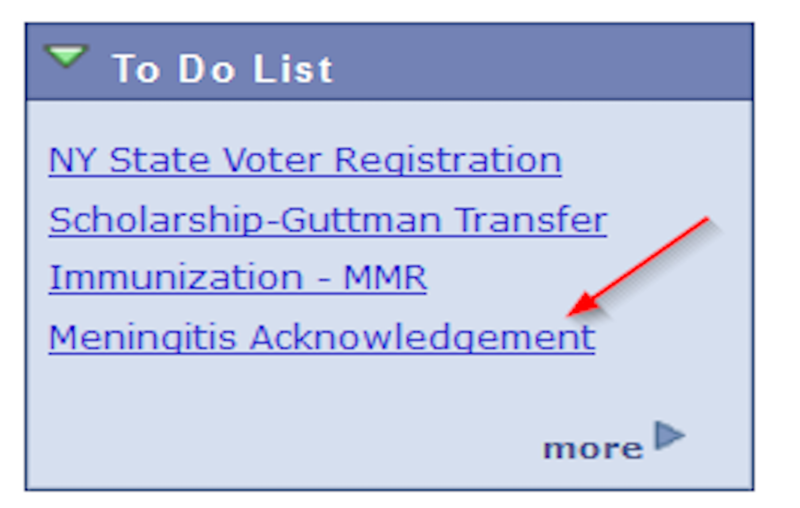 I have decided that I (my child) will not obtain immunization against meningococcal disease. These laws apply to students taking six credits or more regardless if the student is in a degree seeking program or not. If you choose to forgo providing proof of vaccination for meningitis, you also have the option of removing the Meningitis stop on your account yourself. 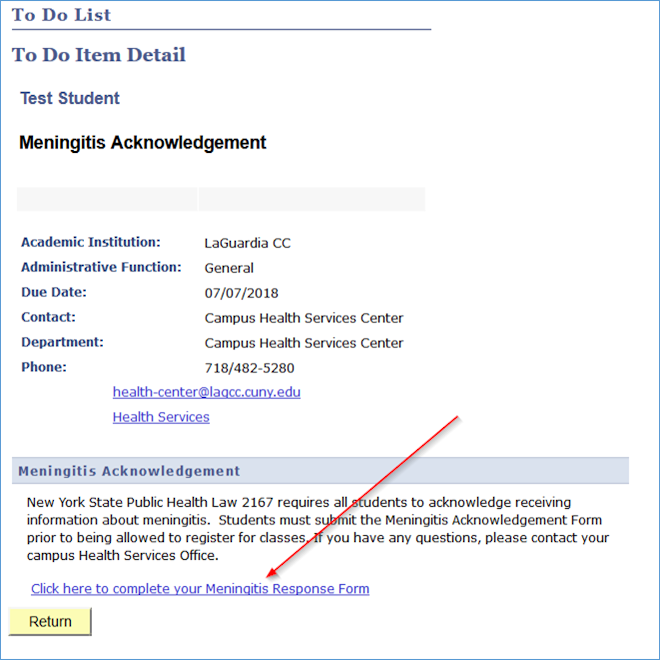 The meningitis response form is available via the checklist in your CUNYFirst account. To file for a religious exemption to immunization requirements, fill out the Religious Exemption to Immunization Form. To file for a medical exemption to immunization requirements, fill out the Medical Exemption to Immunization Form.